Game of Thrones (Season 7), (♦♦♦♦♦): Winter has finally arrived in Westeros, and so has Daenerys Targaryen, accompanied by her three dragons, her army of the Unsullied, the Dothraki hordes, and a fleet of ships led by Yara Greyjoy. By her side are her close advisors Missandei, Grey Worm (Commander of the Unsullied), Lord Varys, and her Hand, Tyrion Lannister. Winter has, figuratively, also arrived for House Frey. Meanwhile, the Houses of the North have allied themselves again under the banner of the Wolf, and Jon Snow has been declared King in the North. Finding out that there is a mountain of obsidian (dragonglass, which kills White Walkers) beneath Dragonstone, Daenerys’ ancestral home, Jon Snow decides, with some opposition from his followers, to make a trip to Dragonstone to sway Daenerys to join the North in its fight against the army of White Walkers advancing towards The Wall, and to let him mine dragonglass necessary to make weapons. 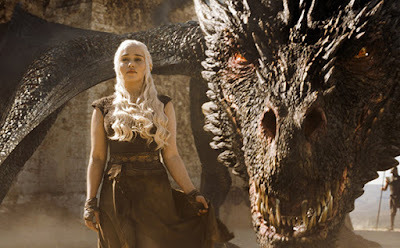 Furthermore, Daenerys has made several strategic moves in Westeros that haven’t yielded the expected outcomes; thus, in a bold move, against the advice of her closest allies, she leads Drogon and the Dothraki hordes into battle against the Lannister army. The result is absolute chaos, but she gains Cersei’s attention, now willing to negotiate. Finally, Daenerys has accepted the possibility that the White Walkers are real, and endorses an expedition to capture a White Walker to be brought to King’s Landing to prove to Cersei that the Dead Walkers exist and pose a threat more real than any man ever could. Unfortunately, the expedition suffers a huge setback as does Daenerys when she tries to retrieve them from beyond The Wall. Wow! I thought that Season 6 of Games of Thrones had set the bar too high for the show, but Season 7 has defied all my expectations yet again. 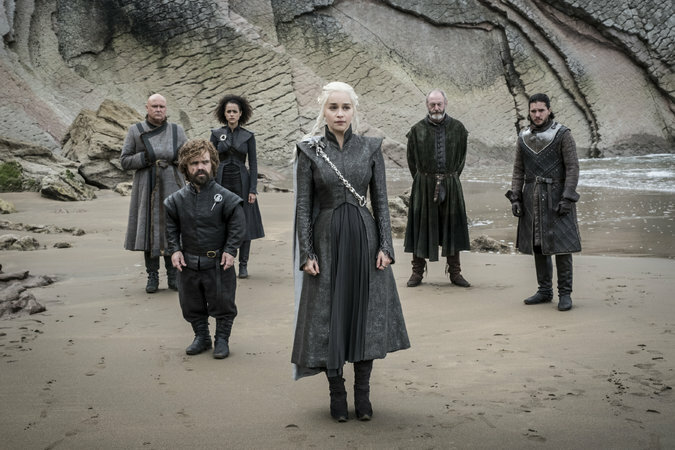 The surviving Stark children have finally reunited, Daenerys is starting to assert her power on her own terms, casting aside her advisors’ words of wisdom, and in the process carving herself a reputation that may or may not rival that of her father, the Mad King. In my opinion, she is proving that she is a force not to be messed with, but she is using her dragons a little too much, exposing them to her enemies in the process. The battles of Season 7 have only been for strategic sake, and intelligence, rather than brawn, has been used in this season to great effect. 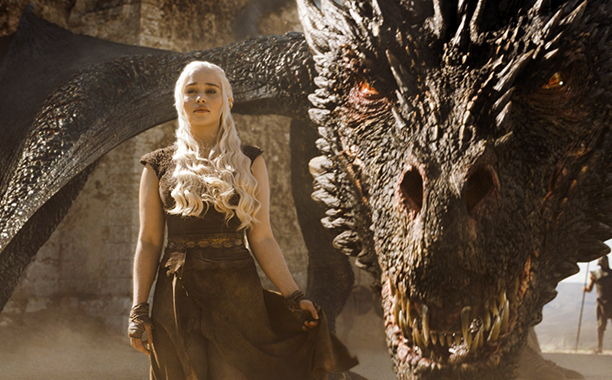 The dragons are a sight for sore eyes, and they have gained more screen time as the end nears. Many enemies from the various Houses have been dealt with in statement-like manners, so the players in the Game of Thrones have become just the ones that were meant to be on the board all along, the rest of the Houses were mere distractions. 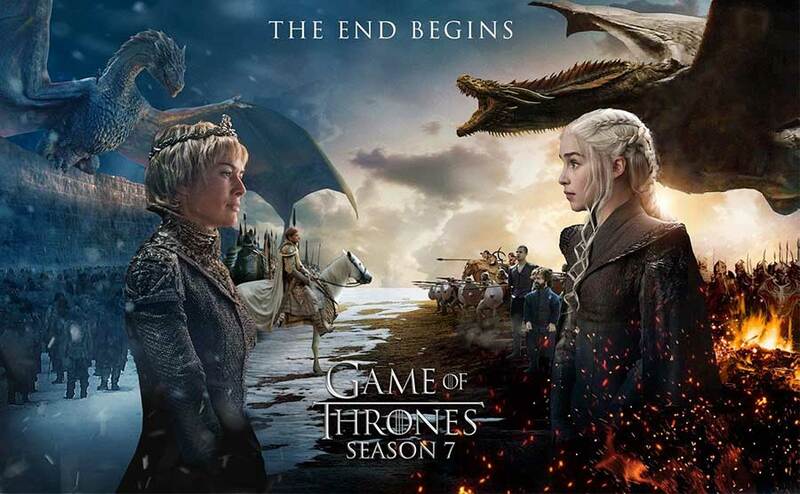 It is obligatory to state the marvelous quality of this production, the excellent weight of the script in each episode, the careful attention to details like how battles are carried out, and how “real” special effects look, and last, but not least, the quality of the international cast that has set a new gold standard for TV series everywhere. In my opinion, Games of Thrones is TV in superlative form, genius at play! 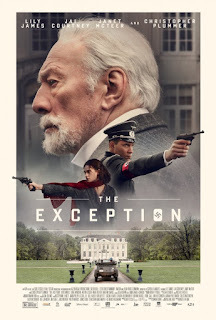 The Exception (♦♦♦♦): With Hitler's invasion of Belgium and the Netherlands in 1940, comes a Nazi interest in "protecting" Kaiser Wilhelm II (Christopher Plummer), who is living in exile since the end of WWI in a mansion in Utrecht. Hitler's Party is paying for the lavish lifestyle, but soon their high command comes calling under the pretext of wanting to reestablish the monarchy. It is believed that a British spy is in the surrounding area possibly with the purpose of assassinating the Kaiser, while Mieke (Lily James), a young, Dutch woman newly accommodated as a servant at the Kaiser's estate, is living a torrid romance with an SS Captain (Jail Courtney) that is the Kaiser's appointed bodyguard. Beautiful cinematography, taut cat and mouse game between the lovers, and in the search for the spy. Beautiful musical score. Excellent performances by the all-star ensemble, particularly the ones by Christopher Plummer as Kaiser Wilhelm II, and Lily James and Jai Courtney with a wonderful chemistry that lights up the screen. 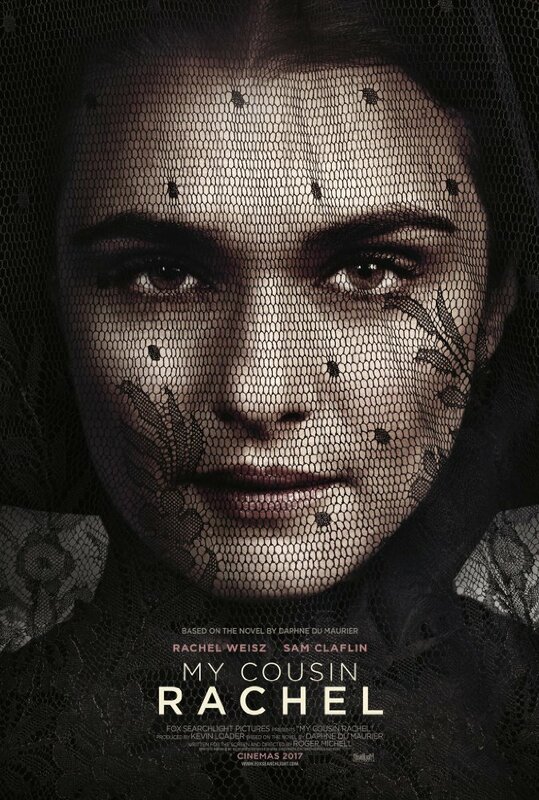 My Cousin Rachel (♦♦♦): Believing that Rachel, his cousin's wife, has poisoned Ambrose, Philip invites her over to exact revenge, but soon, he falls in love with her, forfeiting his fortune in the process. But, is Rachel a victim, or an executor? Sam Claflin and Rachel Weisz in the leading roles are surrounded by heavyweight stars in supporting roles, such as Simon Russell Beale and Iain Glen. Claflin and Weisz don't convince that much as a couple in love, but have great dynamic when they share tension on screen. Beautiful cinematography and photography take ample advantage of the stunning British coast and manicured estates. The film keeps the ambivalence of the plot alive until the end, but I wish the music and the lighting effects had been used to greater effect to enhance the gothic mood of the novel. Season 7 of GOT was certainly exciting. It also felt rushed - not as much time taken to develop characters or events as in the past. I'm not sure why the decision was made to reduce the number of episodes. (Cost-saving, maybe?) I wish they had not done that. I thought it was outstanding. The reduced number of episodes bothered me at first but it had been announced that that would be the case. After watching the progress of the story arcs developed in Season 7, I was OK with the number of episodes. They didn't feel rushed to me because no new characters were introduced; the ones left are the ones meant to remain standing all along. Perhaps I should just go to the book on My Cousin Rachel. I haven't started GOT (i have to get my spouse to agree on it -- maybe this fall?) but my brother is a huge fan of all the books & the tv series. Yes, I agree on My Cousin Rachel. I envy you on starting GOT, though I'm planning to start watching it again probably for reviewing purposes. I highly recommend this series. I have My Cousin Rachel in my Netflix queue. Game of Thrones is still ahead for me as a reader. I won't watch the series until I have read the books. Thanks for your reviews. I am adding The Exception. I hope you enjoy both movies. I did. The producers really outdid themselves this past season. It is the best by far, in my opinion. I'm curious to read your reaction on My Cousin Rachel when you see it. Didn't you read it not long ago? I loved it - absolutely loved it!